Today sees the release of my book Rocket Ryder and Little Putt Putt Go Down Swinging, available in e-book and print. Also, my story Bad Dog appears in issue five of Switchblade. It is currently available as an e-book, with the print version coming soon. If you like listening to writers talk about writing check out The Writer's Edge. On the latest episode you can hear me, along with writer Shawn L. Bird and the owners of Coffin Hop Press, answer questions about writer type stuff. 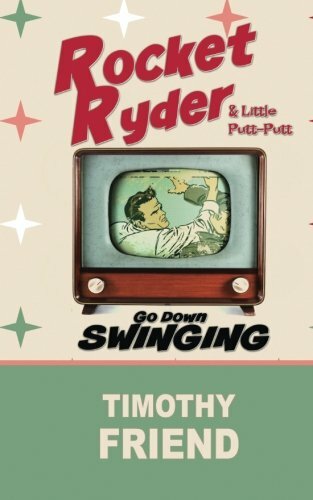 Here is a look at the cover of my upcoming book Rocket Ryder and Little Putt-Putt Go Down Swinging, due out April, 2018 from Coffin Hop Press: When the stars of a cut-rate fifties kids TV show lose their show, their shirts and their minds, the bad guys better beware. Rocket Ryder and Little Putt-Putt are coming, and they are out for blood! Bonnie and Clyde vs. Dracula is name checked in this article on the French website EcranLarge.com. BCVD isn't mentioned until the last line, and the piece is in french of course. But still cool. Check it out. I recently had this interesting item pointed out to me. 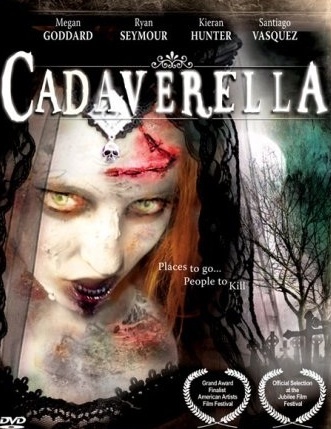 Cadaverella is one of the films discussed in Alain Silver and James Ursini's The Zombie Film: from White Zombie to World War Z, and the book even has a color reproduction of the poster image. It's rare for a book of this type to dive so deep into the micro-budget realm. Furthermore the authors eschew snark for genuine criticism, which makes me even happier to see Cadaverella included. You can find the book here. I’m currently hard at work on several new projects, and I look forward to announcing them in the near future. 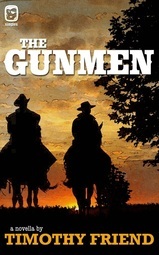 In the meantime, my novella Gunmen, published by One Eye Press, is currently available in print and ebook. You can get it here. 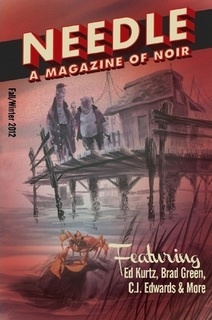 Timothy Friend is a writer and independent filmmaker whose fiction has been published in Crossed-Genres, Thuglit, and Needle: A Magazine of Noir. He is the writer and director of the feature film, “Bonnie and Clyde vs. Dracula,” distributed by Indican Pictures. He holds an MFA from the University of Missouri-Kansas City.